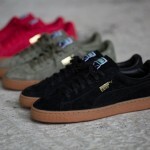 This AW’14 will see PUMA launch the States Winter Gum Pack through the brand’s exclusive Fast Track programme. 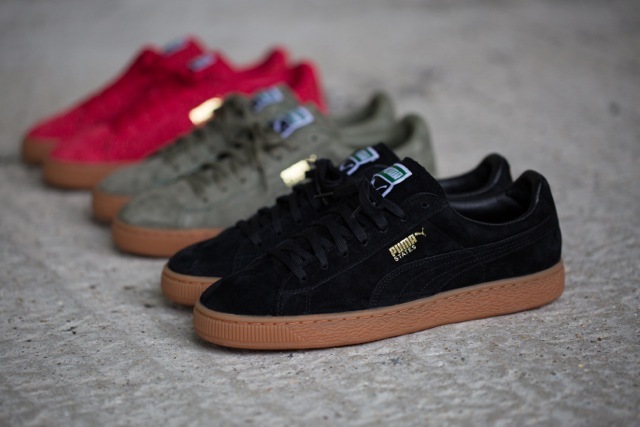 After reintroducing the States back into the market at the beginning of the year, PUMA have continued to re-examine the iconic silhouette with three new winterised colourways for the colder months. 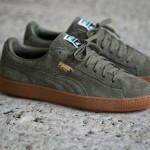 Back in the 80s, the PUMA Suede became the ‘it’ shoe on the hip-hop scene on the streets of New York City. 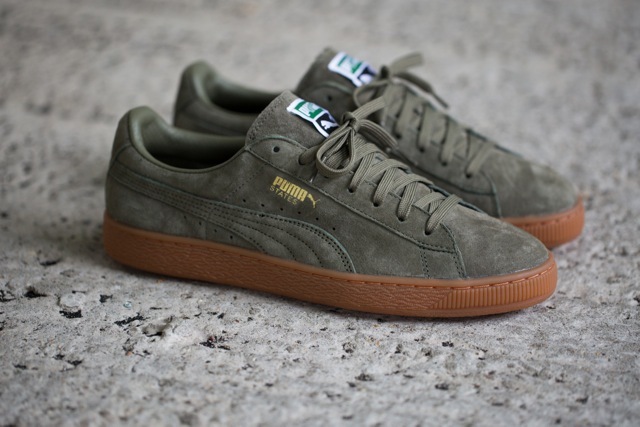 A timeless classic and an integral part of sneaker history, the style was embraced by many sub-cultures and called by many names: the ‘Suede’, the ‘Clyde’ and PUMA ‘Joints’ to name a few. 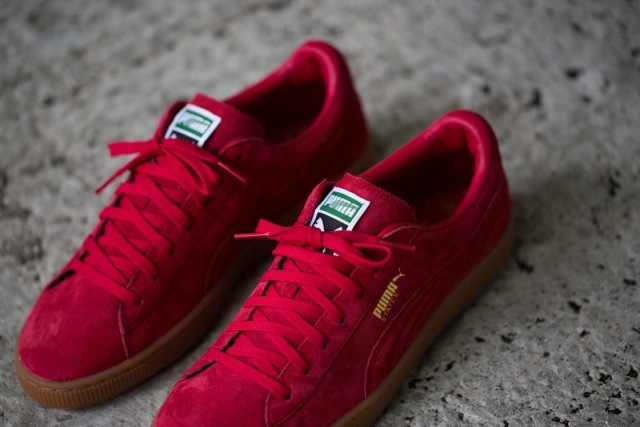 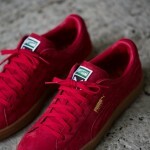 The UK scene adopted this style and made it their own, aptly re-naming it the PUMA ‘States’ after its birthplace. 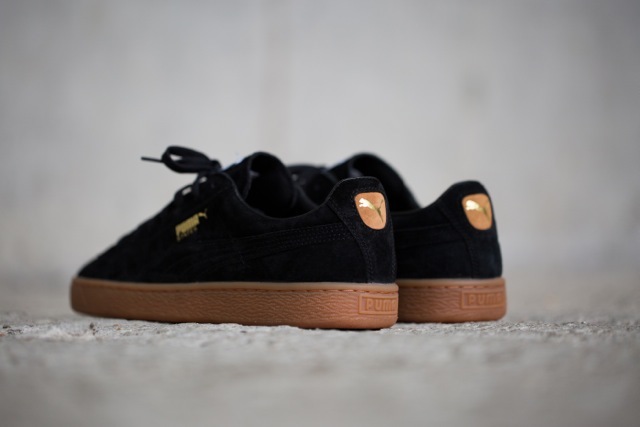 The colour palette used for the suede upper recalls the coldest months of the year, and combines perfectly with PUMA’s trademark gum outsoles across the pack. Reworked in three new slick colourways of lipstick red-almond, black-almond and olive-almond each with a classic tonal formstrip. 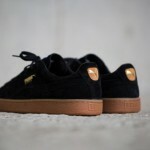 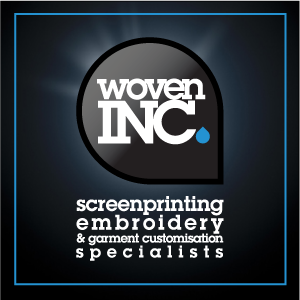 The shoe comes with a thin tonal lace and fat lace for customisation options, with a rich leather interior lining offering a premium finish.